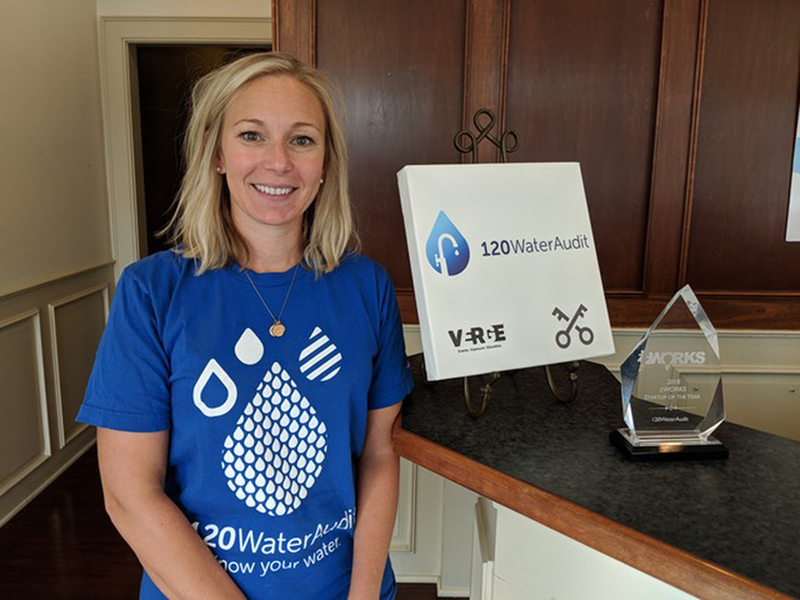 120WaterAudit, a cloud-based software company that helps customers plan, manage and execute water quality and infrastructure programs, made another move earlier this month, occupying the building that was formerly home to the Zionsville Times Sentinel. Business operations for the former zWORKS startup are now at 250 S. Elm St. and 120WaterAudit’s fulfillment department, which moved in May, is two blocks away on Main Street. The move will allow the business to add five more employees by the end of the year, raising its staff to 25. Co-founder Megan Glover said businesses that outgrow the coworking zWORKS space help one another find locations. Glover said she was looking for a location that facilitated more privacy and conference rooms for sales meetings. The business has a 1-year lease on the approximately 3,000-square-foot building. The firrm will reevaluate in early 2019 whether it should move again. The business continues to grow, adding the public school systems in Denver, Chicago and Md. to its client list. Through a new program launched a few weeks ago, 120WaterAudit offers filtration pitchers to customers to remove lead particles from drinking water. It’s one of only two pitchers licensed by the National Science Foundation to remove lead. 120WaterAudit has followed a path similar to that of former zWORKS client Clear Software. The firm moved moved into the space vacated Clear Software in 2017, then rented part of the Main Street building where Clear Software is housed. Clear Software will now occupy the entire second floor at 10 S. Main Street to meet its growth needs.